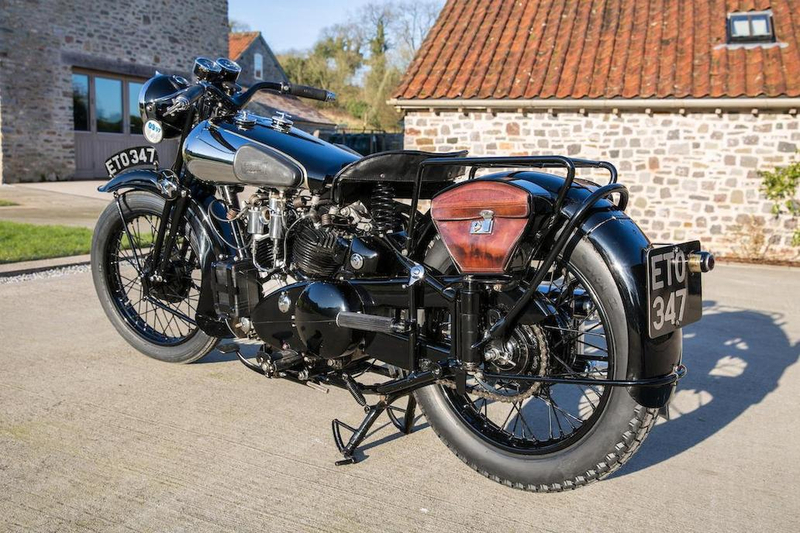 Most likely loaned to thirties motor cycling journalist Henry Laird as a demonstrator a Brough Superior SS100 from 1938 is coming up for auction by Bonhams at their Spring Stafford Sale to be held on 23rd and 24th April 2016 at the Staffordshire County Showground, Stafford, England. 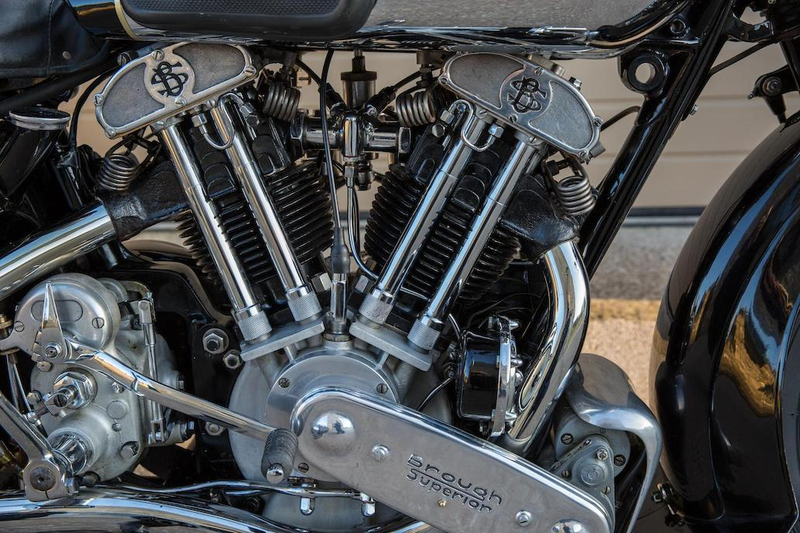 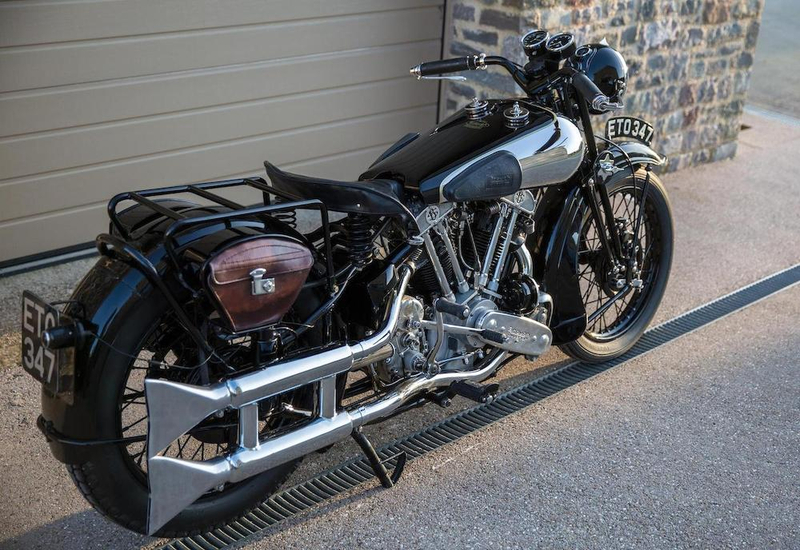 You will find the auction page for this Brough Superior SS100 if you click here. 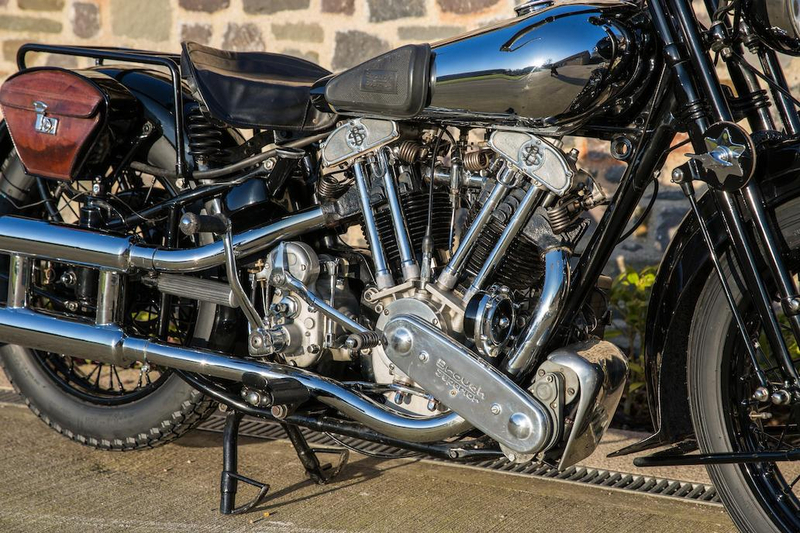 And you will find a previous Revivaler post on the Brough Superior if you click here. 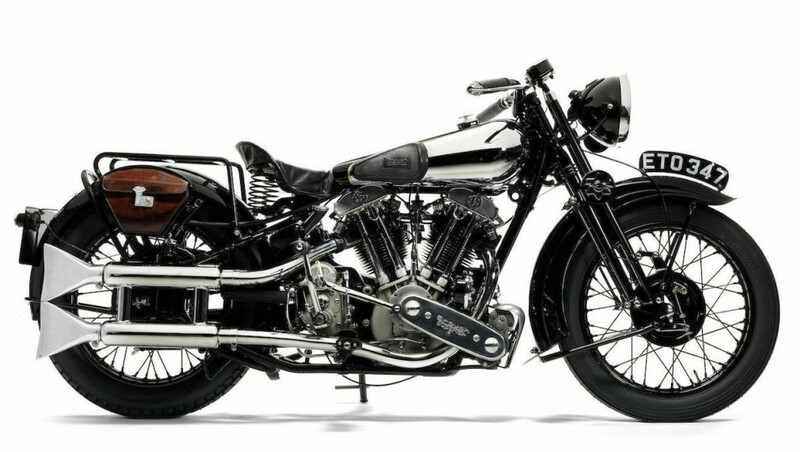 This particular Brough Superior SS100 is contemporary with the bike that was owned by George Brough and in which he competed in the London to Edinburgh endurance rally with Henry Laird in the side-car in May 1939. 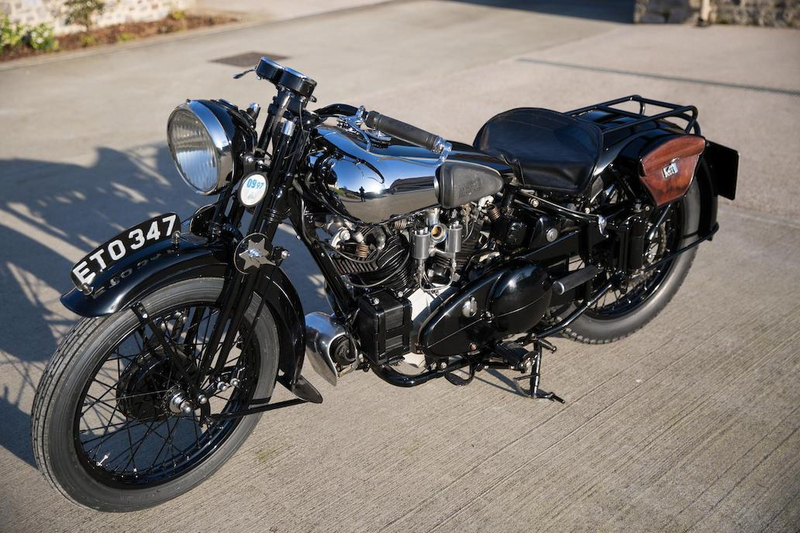 This isn’t the bike that competed in that event, but it was used as a demonstrator by Henry Laird. 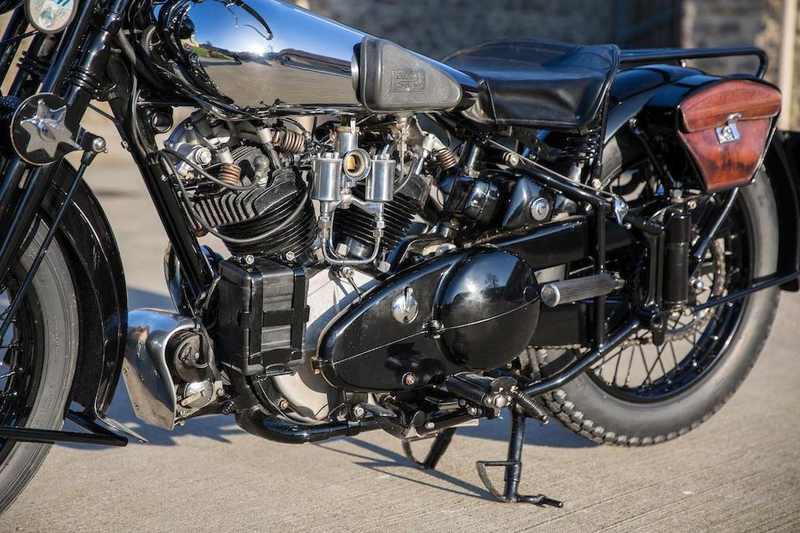 So this is a Brough Superior SS100 with historic connections with people who made the name Brough great, and it’s a beautiful example of a Brough Superior SS100 made in the second last year of production, as the clouds of what was to become World War II appeared on the horizon. 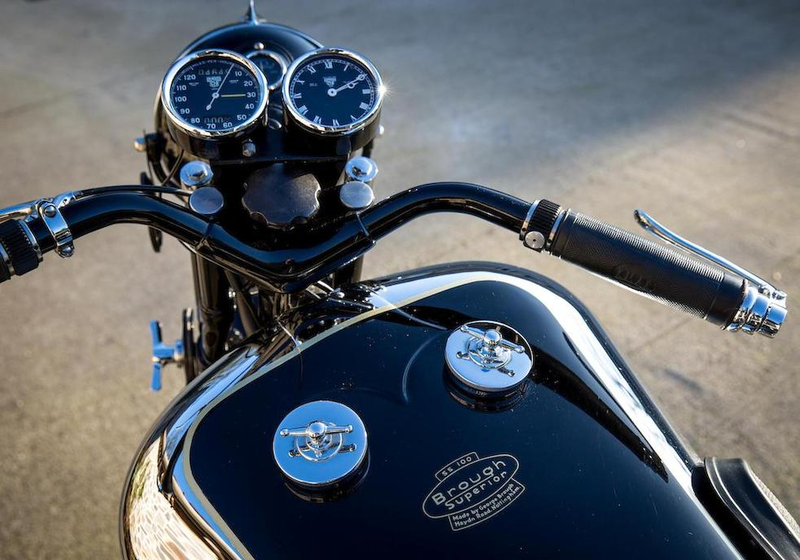 The bike was originally purchased by a gentleman named C.R. 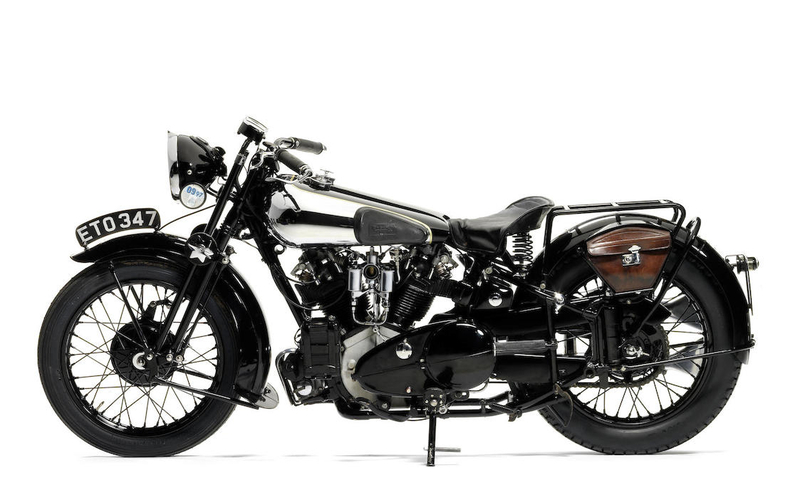 Hussey in 1938. 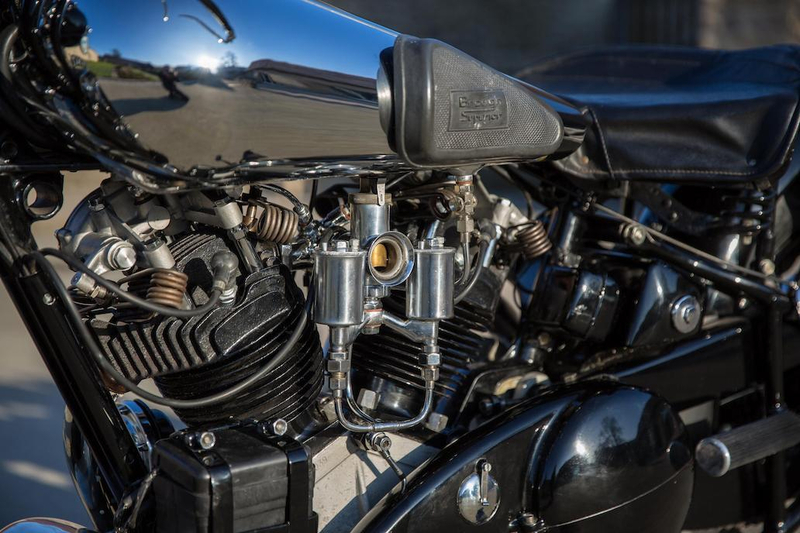 The history of the bike is unknown until it is purchased by Bob Shapiro who used the bike and took it on a rally to Switzerland before selling it in 1997. 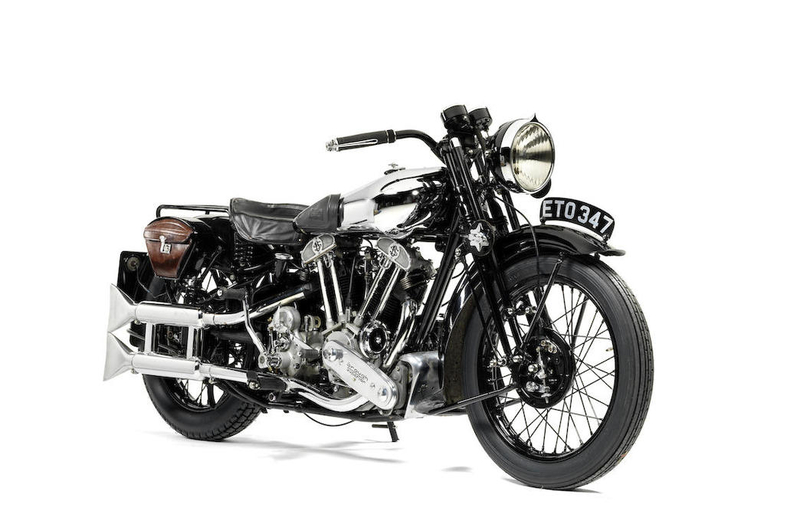 The bike was then purchased from Atlantic Motorcycles in that year by its present owner. 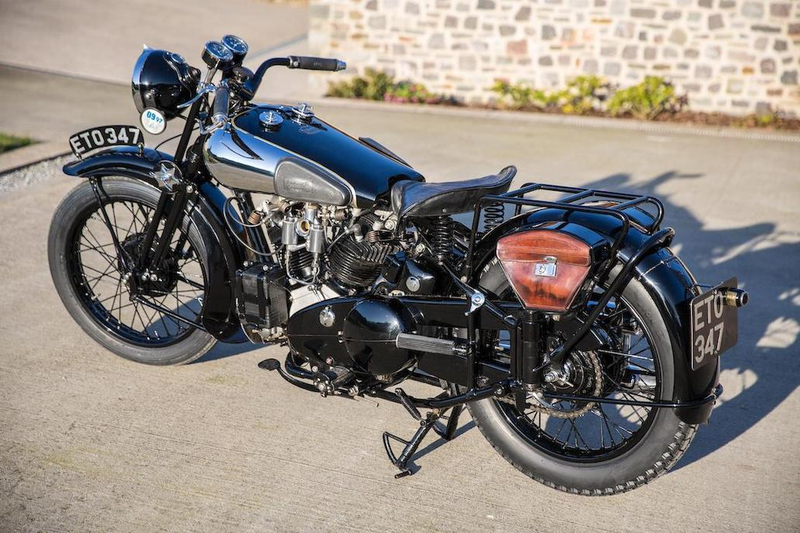 So this is a beautiful and desirable example of an SS100, having had its cycle parts restored by Gordon Nicholls at British Classic Motorcycles of Yatton, Bristol in 2015 and some work done on the engine. 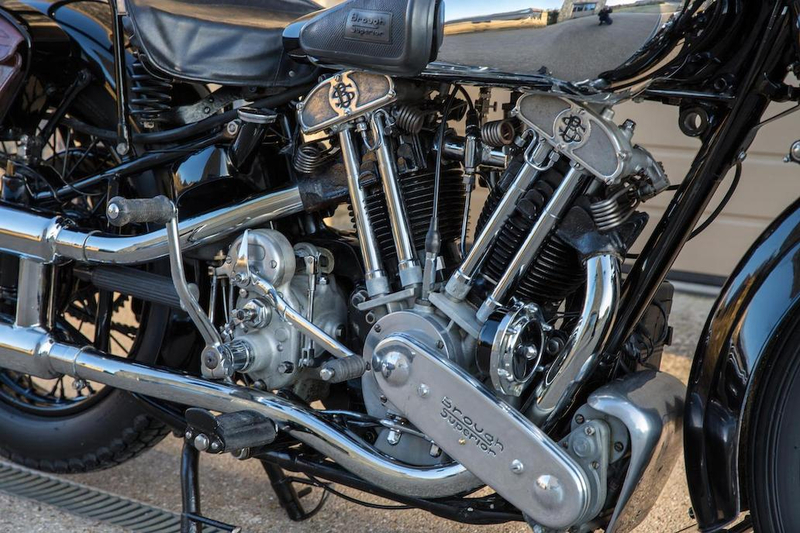 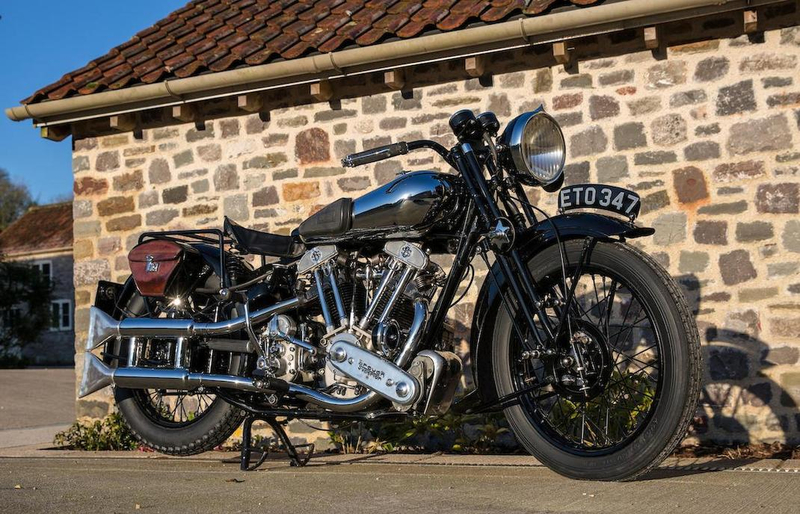 The expected auction price is estimated to be in the order of £140,000 – £180,000, as one would expect for a Brough Superior SS100 of this vintage and condition.